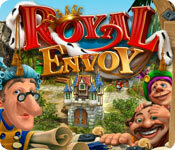 Royal Envoy is rated 4.9 out of 5 by 29. Rated 5 out of 5 by tweety_57 from like this one best of all royal envoys like this one best of all royal envoys RE 2 is second favorite. Rated 5 out of 5 by crimsoncrab from A winner! Enjoyed everthing about this game especially that if time runs out you are not punished (well, not by much). The levels can be challenging expecially if your goal is to achieve three stars for each challenge. Although I never did get three stars for all the challenges, I still had a load of fun. Rated 5 out of 5 by Booplyn from Great game!! This is a very addicting game. It has some great things about it I really loved. For one, there are all sorts of neat things to click on just in the opening pictures. They really spent a lot of work on this. Things react to what you do and your not even playing the game yet. I spent time just making their eyes move and laughed at making the bird chirp. I missed this in the second version. My second favorite thing is that once you finish with all gold you get to play it again on a harder level. Very cool. I hope they come out with many more of these! Rated 5 out of 5 by LavaReign from Excellent This is a well-made TM game with impressive graphics. The game play is less clicky than Roads of Rome style road-builders and requires more logical thinking. I played through each level until I got that pesky star, although I admit by the time I "unlocked" expert mode I was done with the game! Rated 5 out of 5 by dreamweavers2012 from Super Fun!! This game is so much fun you will play it again and again! Rated 5 out of 5 by NaughtyPenguin from Different & challenging This game will appeal to those who love an exciting challenge AND those who prefer a relaxing game. 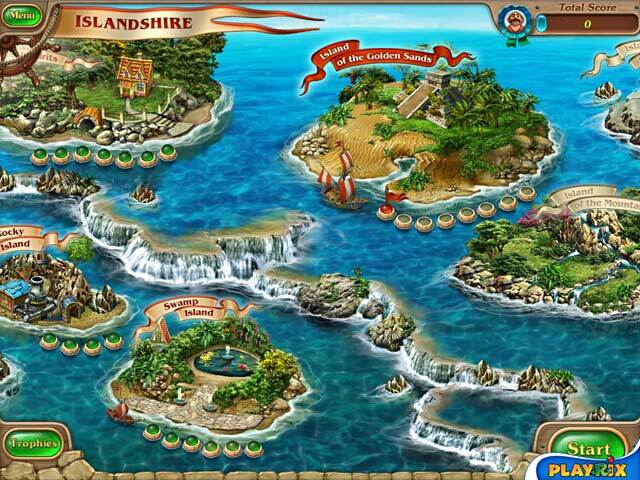 Each level comes with specific tasks that must be completed to move to the next island. 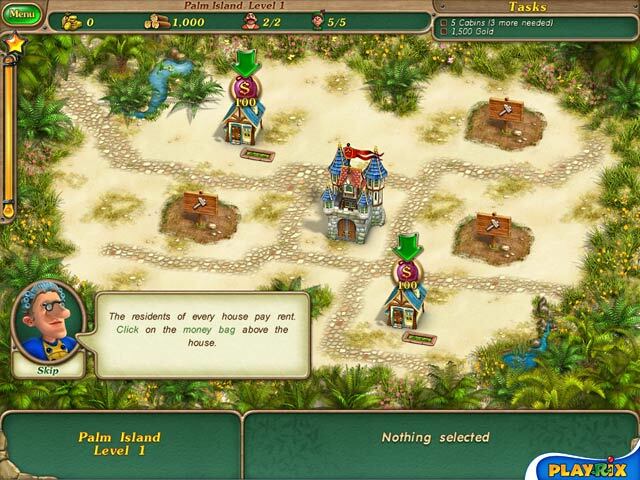 Tasks might include building certain types of houses, buildings, overcome road blocks, etc. The first time through each level I mainly got the lay of the land. You can take as long as you like to complete the tasks but the real challenge is doing the level fast enough to earn gold level status. To earn gold, you have to develop a strategy for completing the tasks in just the right order. Do you need to buy workers first or build a market or pay off the pirate? Each level requires a different mix of materials, workers, and gold. Developing a strategy for each level is key and achieving gold is no easy feat. The graphics and chatter of the characters are delightful and the music is upbeat without being annoying. You definitely get your money's worth with Royal Envoy. If you enjoy the demo, you'll love the full version! Rated 5 out of 5 by elwilgo from Great game. Cute and challenging. I like the fact that even after "time" runs out you can play on until you finish the level. Not true with Royal Envoy 2, which I played the trial and failed to get past level 6 or 7 and could no longer play the game. 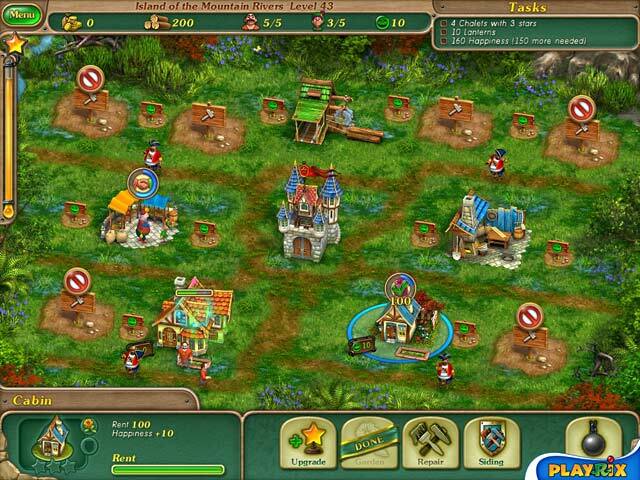 Clearing paths and repairing, upgrading and building several different types of buildings is great fun. Highly recommended for TM fans or just pure fun!